Amazon has to do with two different platforms for sellers: Amazon Vendor Central and Amazon Seller Central. In this post, we discuss the pluses and minuses of both program, and end by offering some advice on which program may make the most sense for you. What is more, you might be curious where that phrase comes from. Why some products that are listed on Amazon are actually sold by Amazon itself, whereas others are not. As it turns out, the reason for this has to do with a relatively obscure difference in the programs that Amazon offers to sellers. Specifically, while most products are sold through Amazon Seller Central, a program you’ve probably heard of, countless others are sold through something called Amazon Vendor Central. What is Amazon Vendor Central, you ask? That is what this article is all about. In this post we want to walk you through the differences between Amazon Vendor Central (AVC) and Amazon Seller Central (ASC), discuss the pluses and minuses of both program, and end by offering some advice on which program may make the most sense for you. To begin with, it is helpful to understand the differences between the two platforms. Let’s start with Amazon Seller Central. 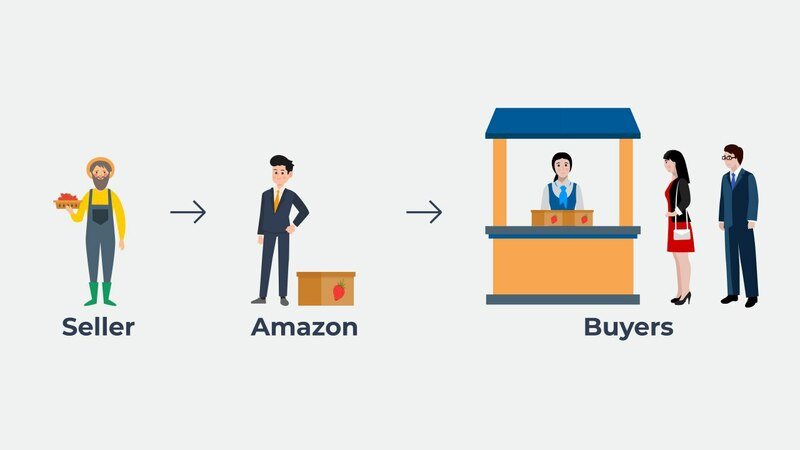 Under the Amazon Seller Central program, Amazon is giving sellers the opportunity to act as a third-party that is leveraging their platform in order to gain access to their logistics network and community of sellers. Think of Amazon, in this case, as the organizer of a farmer’s market and the seller as a strawberry farmer. You may the organizer of the farmer’s market a nominal fee in order to have a booth and may get a built-in group of passersby who come looking for produce, but it is up to you to bring in your strawberries, arrange them neatly in tidy bins, set your prices, and market them to the folks that stop by. Any seller is eligible. Any seller, provided they complete a basic enrollment and account verification process, has the opportunity to seller their products via Amazon Seller Central. (Whether the product actually end up selling successfully is, of course, another matter). Seller sets prices. In addition, under Amazon Seller Central, sellers have license to set prices for their products as they see fit. (Within reason, of course—if Amazon notices you jacking up prices, it may temporarily suspend your listing). If you’re looking to develop some initial sales traction, you can offer concessionary or even predatory pricing during your product launch. If, conversely, you’re the proud owner of one of the best-selling items on Amazon, you can raise prices and drive super-high profit margins. Payment issued every two weeks. If you enroll in Amazon Seller Central, you’ll also be paid on a once-every-two-weeks basis. As we’ll see in a moment, this is in contrast to the more stringent payment terms of Amazon Vendor Central and can therefore be a helpful way to drive cash flow for your business. Limited options for advertising. Finally, sellers participating in Amazon Seller Central have access to some channels to advertise their products. This includes sponsored product advertisements and, in some cases, Enhanced Brand Content. In general and as discussed below, however, these channels are relatively rudimentary compared to those offered under Amazon Vendor Central. So that is a brief overview of Amazon Seller Central. Now let’s walk through and contrast that with its cousin—Amazon Vendor Central. Under the Amazon Vendor Central program, sellers are offering their products to Amazon on a wholesale basis, and Amazon is then turning around and selling them through its platform on a retail basis. In industry parlance, this is known as being a “first-party” seller (as opposed to, under the Amazon Seller Central program, being a third-party seller). Remember our farmers’ market analogy? Recall that being a seller enrolled in Amazon Seller Central is somewhat akin to being a strawberry farmer selling fruit at a farmers’ market that Amazon organizes. In contrast, under the rules of Amazon Vendor Seller, you’re still a strawberry farmer but Amazon, rather than being the organizer of a farmers’ market, is now something more like a big box grocery store. That is, as a strawberry farmer, you’re selling your produce wholesale to Amazon and you don’t really know what happens to your product after that. The grocery store (i.e. Amazon) determines how to price your products, where to stock it on its shelves and, if it finds better strawberries, may ditch your fruit farm entirely. Eligibility is offered on an invite-only basis. 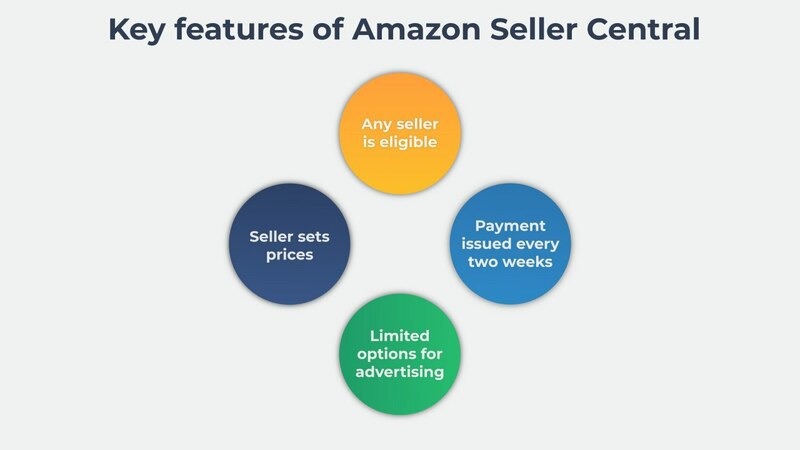 In contrast to Amazon Seller Central, access to Amazon Seller Central is limited to a select group of sellers that Amazon handpicks and extends exclusive invites to. You cannot, as a seller, participate in Amazon Vendor Central simply because you’re interested in doing so. In this sense, the bar to participate in the program is much higher. Amazon sets prices, more or less. As discussed, under the Amazon Seller Central program, sellers are allow to set their own prices based on their preferences, the vagaries of the market, and the unit economics they are looking to achieve. By contrast, in the Amazon Vendor Central program, Amazon is the primary price-setter. Should you be selected to participate in Amazon Vendor Central, Amazon will offer you a bid at which it is willing to purchase your products and, in most cases, it is up to you to take it or leave it. In theory, Amazon is supposed to safeguard the interest of its sellers by providing assurance it will not sell below a Minimum Advertised Price (MAP), but in practice, it does always work out their way. Payment issued on traditional wholesale terms. Whereas the Amazon Seller Central program cashes out sellers once every two weeks, Amazon issues payment to sellers participating in Amazon Vendor Central on terms more typical of traditional business-to-business arrangements—Net30, Net60, or Net90 terms. As we will see in a moment, this can make it a challenge for Amazon businesses to achieve the sort of cash flow they need to grow their operations. Expanded opportunities for advertising. Finally, Amazon Seller Central provides sellers a relatively limited set of options and functionary when it comes to advertising their products. 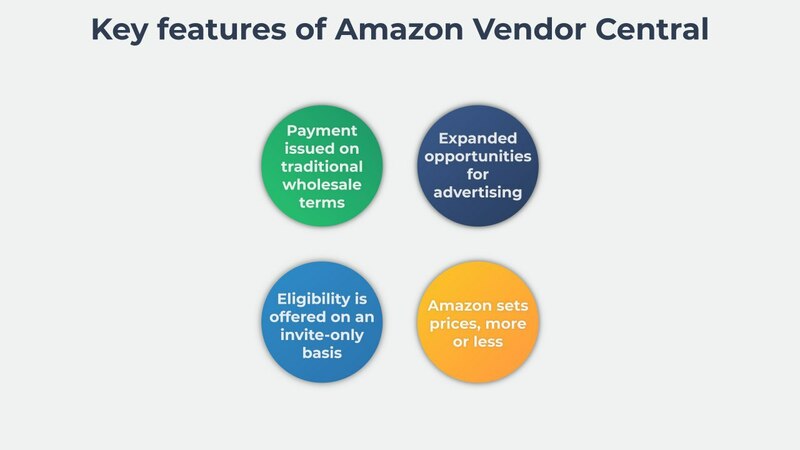 Under the Amazon Vendor Central program, by contrast, enrolled sellers and their products enjoy access to a full complement of advertising tools, including full use of the Amazon Marketing Services platform. You can see how this makes intuitive sense: if Amazon is going to be responsible for selling a certain product, they will want to leverage as many channels as possible to drive traffic to the product listings and, in turn, driving sales. Now that we have outlined some of the differences between each platform, let’s discuss the relative merits of either option. If you’re a seller on Amazon—and a seller that, for whatever reason, is invited to participate in Amazon Vendor Central—which option should you choose? Control over how your products are marketed and sold. One key advantage of Amazon Seller Central is that is provides you, the seller, relatively more control. Let’s go back to our example of the strawberry farmer. Let’s assume that it’s important to the farmer that they build up a lot of brand equity in the product space. Or that they have such a superior product relatively to other strawberry produces that they can and want to set the price of their products. Or that it matters a lot to the strawberry farmer how the berries are packaged, talked about with, and ultimately sold to customers. In this case, Amazon Seller Central is far and away the better option for a seller, because it affords the seller the chance to exert vastly more control of her product offering. Superior cash flow. As noted above, the pay cycle for Amazon sellers is different depending on whether they are enrolled in Amazon Seller Central and Amazon Vendor Central, with Amazon Seller Central issuing payouts to sellers at least twice as often as Amazon Vendor Central program. There’s a saying in business that “cash is king,” and nowhere is that more true than with small business, who often need to generate consistent and robust cash flow in order to stay afloat. If you operating a large-scale operation with cash to spare and can afford to defer revenue into the future, Amazon Vendor Central may be a good fit. But if you’re cash-strapped and/or looking to accelerate your company’s growth, Amazon Seller Central is probably the better bet. More power in the market. One final advantage of Amazon Seller Central is that you will, as a seller, enjoy relatively more power in the market. By this, we mean that, if you are offering a great product, you can dictate terms when it comes to the price, inventory, sales cycle, and features of your product. Once you enter the world of Amazon Vendor Central, however, all those bets are off. In essence, you will all of a sudden be subject to the whims of Amazon and its (sometimes-harsh) terms for its first-party sellers. Gone will be most if not all of your ability to set prices and customize your product as you see fit. (Now, to be sure, being a third-party seller on Amazon Seller Central can be a jungle, too, but it still pales in comparison to what you will contend with on Amazon Vendor Central). In light of the above, it may seem like Amazon Seller Central is the first and only choice for any sane seller. True, there are some significant advantages associated with that program. Sellers assume less responsibility. First, unders Amazon Vendor Central, sellers assume less responsibility relative to Amazon Seller Central. As we have discussed in other articles, when a seller participate in Amazon Seller Central, Amazon assumes full responsibility for order fulfillment but only partial responsibility for, among other things, returns and refunds and customer service. In this sense, Amazon Seller Central, as simplified as it is, still requires sellers to shoulder some of the load. Under the Amazon Vendor Central program, this burden is lightened even further. 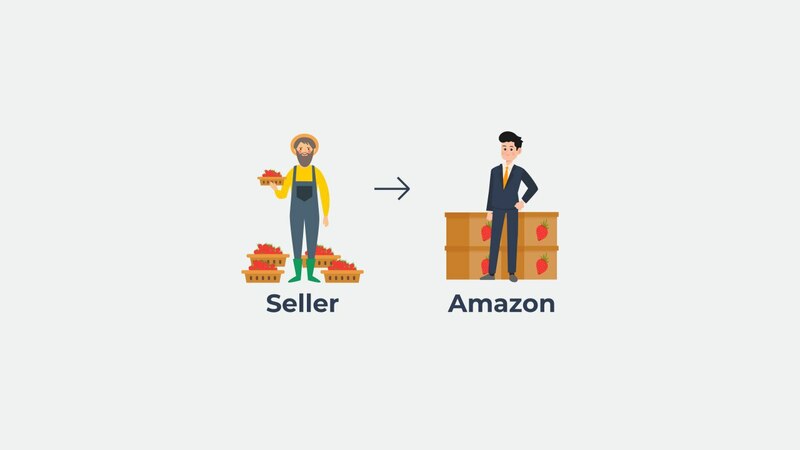 Since a seller is simply selling their product to Amazon and they are doing the rest, there is relatively little for the seller to do when it comes to the customer-facing activities of a typical e-commerce company. Having the Amazon seal of approval. If you remember back to the beginning of this article, you will recall that items sold under the Amazon Vendor Central program are branded with the tagline “ships from and sold by Amazon.” It will not surprise you to learn that there is an enormous branding advantage to be gained from associating your product with Amazon in this way. Simply put, consumers trust Amazon. They trust the products they sell to be of good quality. They trust that, when they buy, the product will show up on time. And they trust that if for whatever reason the product does not work, Amazon will make it right. What this all adds up to, in the end, is higher conversion rates—a relatively high percentage of shoppers who look at Amazon.com-branded listings will go ahead and purchase those items. In turn, this means that Amazon will want to buy more of your product from you. More eyeballs. The final and related point is that, if it assumes responsibility for selling an item, Amazon is going to do everything it can to ensure a product sells well. Think back to our example of the farmers’ market and the grocery store. If Amazon is simply the organizer of the farmers’ market, it may care on the margins whether products sell well; it wants to build a farmers’ market with a good reputation, after all. But think how those concerns get amplified if, instead of a farmers’ market, Amazon is more like a grocery store. Now, all of a sudden, Amazon has assumed responsibility for a bulk order of inventory. You better believe, having bought the inventory, it will work hard to sell down what it purchased. The upshot of all of this is that sellers on Amazon Vendor Central will notice that, once Amazon begins purchasing its products, sales begin to tick up—leading to more money in the seller’s pocket. So which option, in the final analysis, is the right one for you as a seller? Fortunately (or unfortunately, depending on your perspective), this is not a choice that most sellers will have to face. 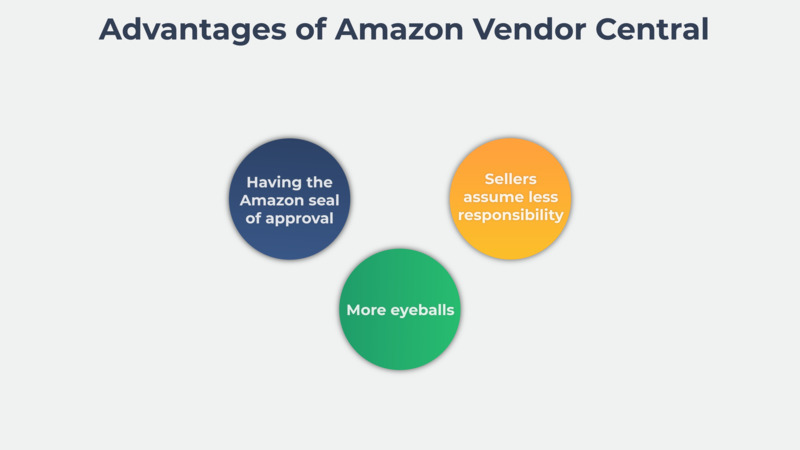 As we discussed above, participation in Amazon Vendor Central is limited to a small subset of sellers, so it is unlikely that you will want and have the choice to anything but participate in Amazon Seller Central, at least for the foreseeable future. And as we discussed above, this is a great problem to have! Amazon Seller Central offers a world of benefits for e-commerce—features that never existed before Amazon came along as a a company. So what if Amazon does come knocking at your door one day, however? What if, not so long from now, you do have the opportunity to participate in Amazon Vendor Central? As we have covered in this article, there is a lot to recommend either options. When it comes to Amazon Seller Central, potential plusses are the contro you enjoy as a seller, the leverage you possess, and the cash flow that can accumulate. When it comes to Amazon Vendor Central, by contrast, you will have less on your plate and the cachet of the Amazon brand behind your product. 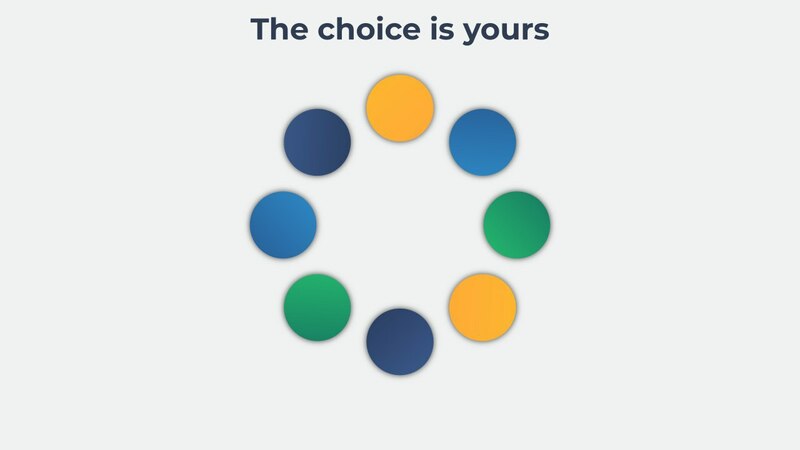 Ultimately, the choice probably comes down to the size of your operations as a business. 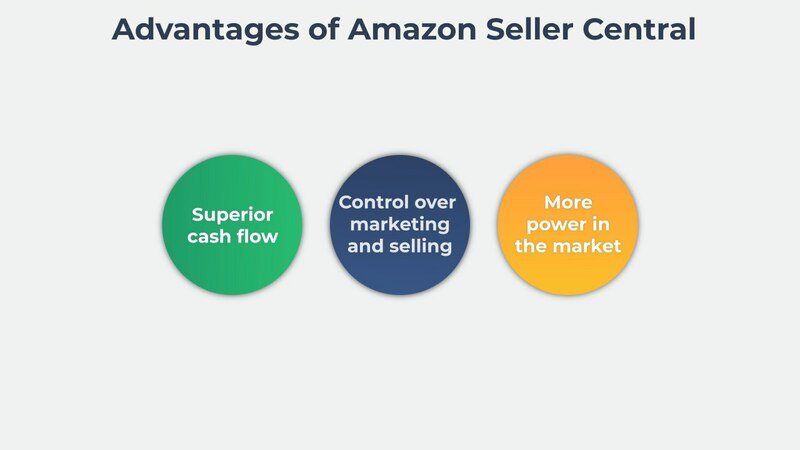 If you are a relatively new seller who is looking to grow your business, Amazon Seller Central probably presents the safer and more successful option for you. If you’re a well-established company with significant scale, you may be able to better absorb some of the potential downsides of Amazon Vendor Central—and capture more of its potential upsides. Now it’s your turn. We want to hear from you about your experiences with Amazon Seller Central and Amazon Vendor Central. Are you satisfied with the features of Amazon Seller Central? Have you ever been invited to Amazon Vendor Central? If so, did you consider joining?